Samsung already offers several products for PC gamers and the company has now said that it’s going to “up the game” at Gamescom 2017. 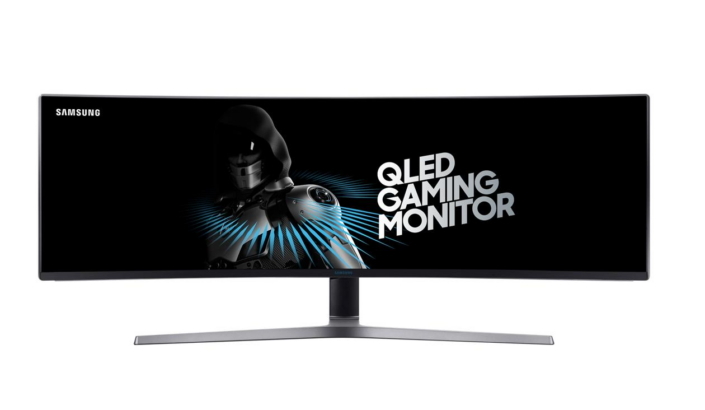 It’s going to launch the Samsung CHG90 QLED Gaming Monitor. Samsung says that this is the world’s largest QLED gaming monitor that delivers an IMAX-style cinematic viewing experience. The 49-inch super ultra-wide 32:9 HDR (High Dynamic Range) CHG90 gaming monitor offers 3840 x 1080 resolution and a 1800R curvature for an immersive experience. Users will get a larger field of view and greater depth perception compared to other gaming monitors. The over-sized screen is great for achieving peak performance throughout gameplay while the 32:9 aspect ratio enables gamers to see the game scenes in their entirety. 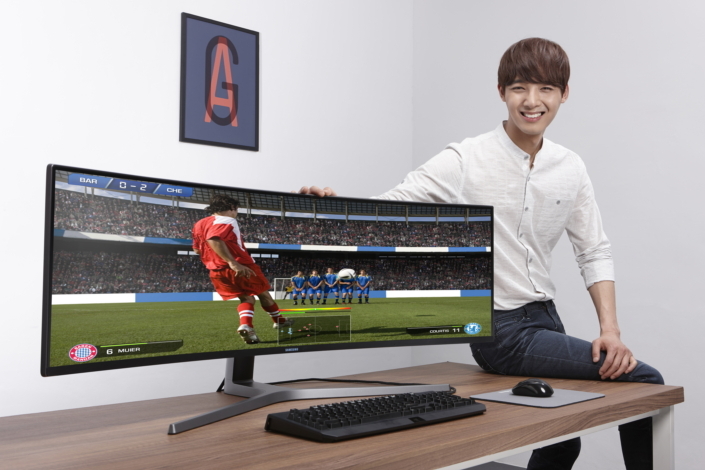 The 144Hz screen refresh rate of Samsung’s new gaming monitor provides smooth action scenes. It can be adjusted to 60Hz/120Hz as and when required. Samsung CHG90 also offers a 1ms response time, a game mode option and more lifelike colors with Quantum dot and HDR technology. It’s equivalent to two 27-inch 16:9 monitors side by side. This means that gamers don’t have to worry about multi-monitor setups so they have the ultimate multitasking flexibility. Pricing has not yet been confirmed. Samsung says that the CHG90 will be available in Germany following Gamescom 2017 which takes place from August 22-26 at the Koelnmesse in Cologne, Germany.